Ginger has been used as a natural remedy for many ailments for centuries. It is found helpful in boosting the immune system, increasing circulation and providing warmth, promoting healthy sweating, assisting detoxification, reducing nausea and vomiting, treating cold and flu symptoms, easing headache, and aiding cough and sore throat. 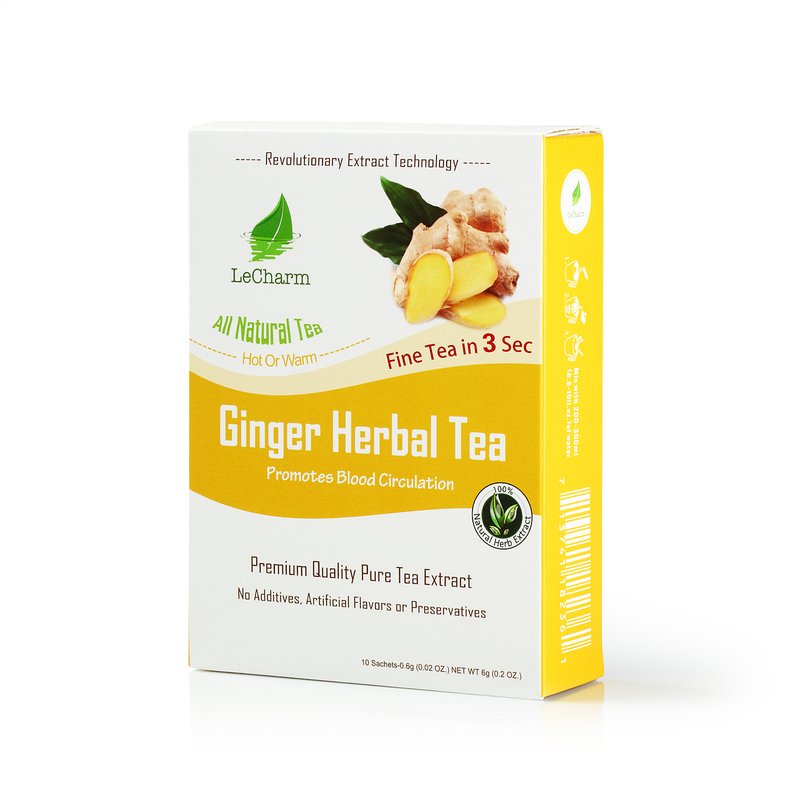 It is a great thing to drink ginger tea if there is suffering from the colds. 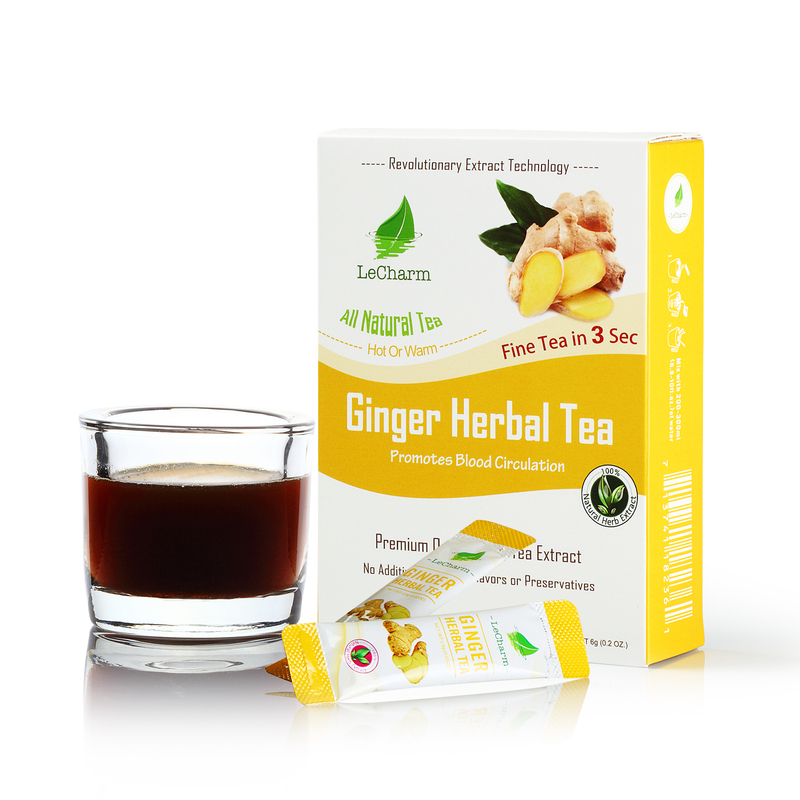 Ginger invigorates the body and warms you up, allowing you to feel comfortable and energized. The warmth and vigor then combine to fend off flues. 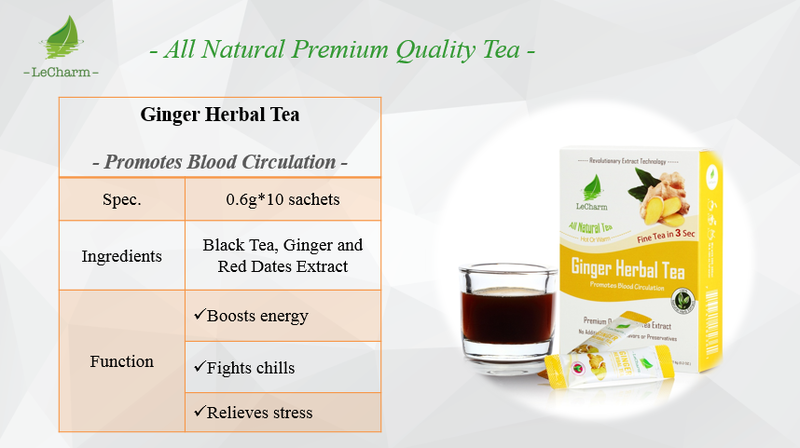 Ginger Herbal Tea is a caffeine free tea that lets you feel exactly why ginger is such a famous herb. A bitter scent of ginger unravels and wakes you up the moment you open the sachet. When you take a sip, you’ll be greeted by welcoming sweetness and mellow undertones, with a hint of spice waiting beneath. Red date extract works to help relieve stress as well, by enriching blood quality while reducing blood pressure and cholesterol. Red dates are rich in nutrients like proteins, fat, carbohydrates, carotene, vitamin B, vitamin C, vitamin P, calcium, phosphorus, iron and cyclic adenosine monophosphate. Chinese red dates have 70 times to 80 times higher levels of Vitamin C than grapes and apples. I am not a fan of the taste, but it’s healthy for my body. I used to have a lot of pimples and not I have visibly less pimples. However, I have to drink it everyday. I put some sugar and honey to make it taste better. I started to drink Ginger Tea because I want to detox my body for pregnancy. Not many people like ginger and I’m okay with ginger. I bought this because some of my friends told me ginger is good for health especially in cold winter. I was worried that the taste would be wired but I was totally okay with this taste. Not that strong and taste okay.